Follow the easy links below to see homes for sale in the beautiful Corte Bella Country Club in Sun City West Arizona, Corte Bella floor plans, and home sales in Corte Bella. Scroll down to read a little bit about the Del Webb Corte Bella 45+ retirement community located within Sun City West Arizona. * Where IS Corte Bella? As you enter Corte Bella from its grand gated entrance your first response will undoubtedly be, “WOW”. 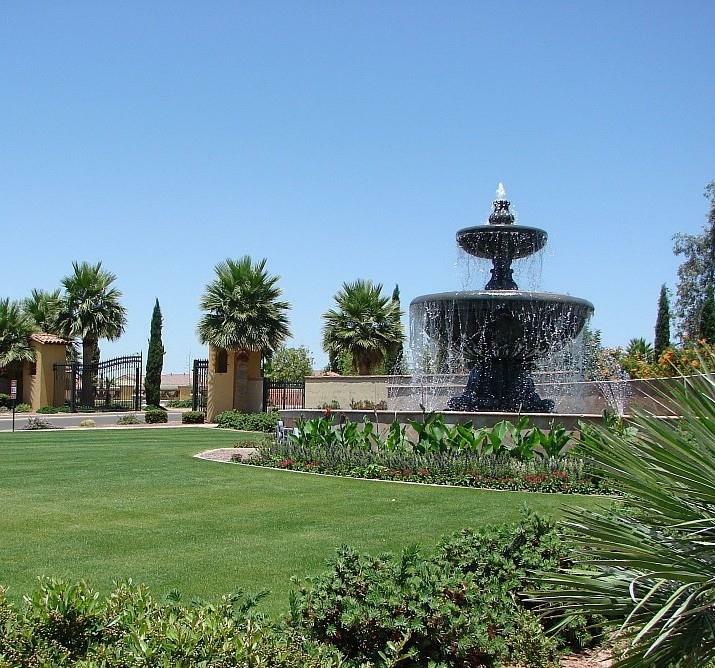 Corte Bella is Del Webb’s first active adult gated country club, and the first of its kind in the <?xml:namespace prefix = st1 ns = "urn:schemas-microsoft-com:office:smarttags" />Phoenix area. Yet with only 1,650 homes, it feels like an intimate community. Corte Bella is both upscale and down-to-earth. At the 7,500 s.f. Social Club, you can meet friends for casual dining, sip wine on the large patios overlooking the golf course, or attend larger get-togethers in the Social Pavilion, adaptable to suit any festivity. The Fitness Club & Spa at Corte Bella offers more than 10,000 s.f. of space. Beyond the basic cardio and weight training areas, services include spa treatment rooms, separate men’s and women’s lounges and locker rooms, indoor whirlpool and saunas, and private sun patios. Massages and facials can be arranged by request and the on-site activities director can help you organize any activity you wish. The Golf Club’s privately owned par 72, 18-hole championship course, by designer Greg Nash, offers four sets of tees, from 5,100 yards to 7,000 yards.